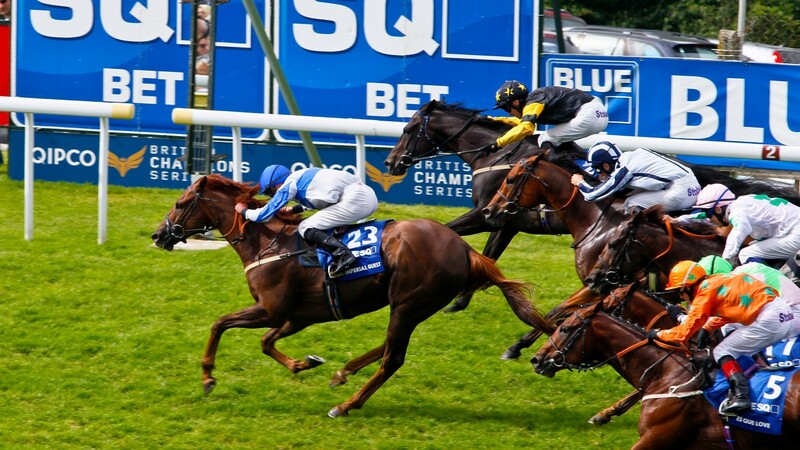 Hawkeyethenoo, the only Scottish-trained horse to win the Stewards' Cup, has been retired. The 11-year-old was a regular contestant in valuable races up to a mile for many years and racked up prize-money of more than £388,000. "He's picked up a slight injury and we've decided the best thing to do for him is to bring his racing days to an end and find a good home for him," revealed trainer Jim Goldie on Tuesday. "He's been a great servant for us and it's hard to choose between him and Jack Dexter as the best I've trained." The glorious highlight of Hawkeyethenoo's career came when he pipped Imperial Guest by a nose in the hands of Graham Lee in the 2012 Stewards' Cup. "I'll never forget that day at Goodwood and I'm delighted he was able to round off his career with another win down south at Ascot in his final season," said Goldie. Hawkeyethenoo joined Goldie in August 2009 having started his career with Mick Easterby. "I was friendly with the family of the owner Forbes Connor and they decided to give me a try with him," explained Goldie. "He was rated only 54 when he joined and got up to a mark of 112. We were lucky to have him and he's given us so many great days. "It was such a thrill when, like Jack Dexter a year later, he went so close to winning the big sprint at Ascot on Champions Day." Hawkeyethenoo tried several times but was never able to secure a victory in the Ayr Gold Cup at his trainer's local track. "It never quite happened for him in the big race at Ayr – we'd love to have won that but it wasn't to be," said Goldie, who revealed even the Pope had shown an interest in the gelding's chances. "Scotland's First Minister Alex Salmond was discussing our horse on The Morning Line on the day of the Gold Cup and he said he'd had an audience the previous day with the Pope who had asked him whether Hawkeyethenoo would win." Goldie added: "Sadly all good things come to an end and we all think it's the right thing to do to bring the curtain down on his career. "He's been a grand horse, owes us nothing, and we want him to have a happy retirement."